Our best wishes to all of our readers for a happy and restful 2010! Over the last few weeks, we've celebrated several gift-giving holidays and babies all over the world have received new toys, blankets, clothes, books, and other gifts from well-intentioned friends and family. My children were babies more than 20 years ago and I am amazed how many toys today move, spin, flash, blink, and sparkle. Most of them seem to make endless electronic noises. Thank goodness for the on/off switch! Given that many parents are looking at shiny new toys on shelves and in boxes these days, we thought we would share some ideas on how to make the most of these gifts while interacting with your baby. Follow age recommendations. These days, toys are clearly marked by age group. 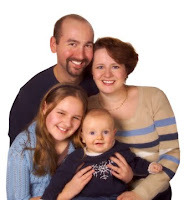 The age groups are based on the typical abilities and behaviors of babies at each age. Even if you think that your baby is advanced (and we know you all do! ), you might find that your baby becomes frustrated or bored with a toy if she doesn't have the skills needed to play with it. Check for hazards. Make sure that your baby's toys are not small enough to be a choking hazard and that they can't break apart into small dangerous pieces. Also, you'll want to check the Internet to make sure the toys have not been recalled for any reason. Let your baby use all of her senses. Remember that young babies learn best when they can use all of their senses. Babies are typically interested in toys made of bright primary colors but most babies want to do more with toys than just look at them. Even young babies will try to touch, smell, and taste the toys within their reach. Pick some safe toys and let your baby explore! Rotate those toys! Babies love variety in toys' size, shape, texture and color. They may be particularly fascinated by differences between objects. As your baby's interest fades, you might find that trading for a toy that is much larger or smaller, with a different color or texture, will hold your baby's interest longer. The bigger the difference between toys, the better. You don't need a lot of toys, just variety. Rotate the toys when your baby is still alert but seems to be bored. Don't overdo it or you may find that your baby is overstimulated. Watch for cues that your baby needs a break from playing. Baby's favorite toys don't have to be expensive. Many parents have spent money on the latest "must-have" toy only to find that the baby prefers the box the toy came in. Babies don't need fancy toys. Babies can be happy playing with a set of measuring cups. Just remember to vary the size, shape, color, and texture and your baby is likely to be happy to play with whatever you give to her. Remember, she's not impressed by labels or price tags! Talk to your baby about her new toys. Your baby loves to hear the sound of your voice and she is eager to learn about language and words. Tell your baby about the colors and shapes she sees and the sounds she hears. The more you talk about her toys in a happy sing-song voice, the more your baby will listen and learn. Encourage your baby to move. Any toy can be used to encourage your baby to be active. Newborns will try to follow toys by moving their eyes and bodies; older babies will reach, creep, crawl and eventually walk to get to toys. All babies need activity, even young babies need some time to play each day on their tummies with their hands and legs free to move. You are your baby's favorite toy! Babies love to be held and entertained by repetitive rhymes and games. Games like peek-a-boo and "where's your nose?" will keep your baby happy long after she's lost interest in her shiny and loud gifts. Your time and loving attention mean a lot more to your baby than the holiday packages. Most of all, new toys are far more exciting for your baby when you are nearby to share the fun. What was your baby's favorite holiday toy? Next time: We'll have another baby quiz! Merry Christmas from the UC Davis Human Lactation Center! We wish all of you a wonderful, safe, and restful holiday. We'll be back next week. Last time, we talked about how babies watch their parents in order to learn more about the world around them. Babies use careful observation to learn as much as they can long before they are capable of asking questions or sitting in a schoolroom. Whenever babies are awake and alert, they are watching, learning, and experiencing everything that their senses can discover. That old cliche, that says "you are your child's first teacher" is true! Here are a few things to keep in mind as you guide your baby's early learning. 1. For most of the first year of your baby's life, you are completely in charge of his environment. You choose where he goes, what he sees, what he eats, where he sleeps, and who he is with. Choose wisely! Do your very best to make sure that your baby's environment is safe and interesting but not overwhelming. Don't worry about spending tons of money on fancy toys. Your baby would rather play with you than with anything you can buy. 2. Watch for signs that your baby is in a quiet alert mood and when he is ready, show your baby the things you most want to share with him. Let him use as many senses as possible while you tell him about his world. For example, if you love the out of doors, use this time to take your baby outside to see, hear, and smell all the things you love about nature. 3. When your baby is in the room, don't let other people behave as if he is not there. Don't let anyone do or say things in front of your baby that you wouldn't want an older child to see or hear. It is easy to think that it doesn't matter what adults do around babies, but it does matter. Babies are "recording" others' words and actions long before they can talk or fully understand what is going on around them. 4. Learn your baby's cues and respond consistently to them. Babies learn quickly about "cause and effect" from the responses they get to their cues. By promptly responding to your baby's cues, you are teaching your baby that he can trust and communicate with you. Also, babies are most ready to learn when they are relaxed and comfortable. 5. Use routines to direct your baby's attention. Remember, babies feel safe and happy when they can predict what will happen to them. When you develop routines for bathtime, meal time, and naps, babies more readily learn your rules. We're not talking about "schedules" rigidly ruled by the clock, but routines - when you use the same series of words and actions. You can develop routines for learning time too! For example, if you notice that your baby is relaxed and alert, you can bring out a special blanket, smile, and ask "Are you ready to see something new?" before you get down on the floor and play with him. When your baby is old enough, this routine will bring squeals of glee. 6. Let your baby explore! Safe exploration is a powerful learning tool. Babies are driven to look, touch, taste, smell, and listen to everything in their environment. Make sure that your baby has an opportunity to move and experience (safe) things each day. Don't forget to watch for signs that your baby needs a break from all the activity. Remember, too much fun can be overwhelming! Next time: More Holiday Wishes from UC Davis! Happy Hanukkah to all of our readers who are celebrating! We hope that those of you who have been celebrating Hanukkah have had a chance to spend plenty of quality time with your friends, family, and of course, your babies! Best wishes to all of you. Sometimes, being a parent can seem to be an overwhelming responsibility. After all, parents are expected to teach their children everything. How can that be possible when parents have so many other things to do? Mother Nature has it all figured out. Much of children’s early learning comes from paying close attention to the adults (and children) in their lives and copying what they see. Because babies have so much to learn, this type of learning happens all the time when babies are awake. Your baby is always watching, listening, and learning from you, not only at times when you are relaxed, focused, and ready to be a good role model. To stay safe, children must learn the “rules” of the community they live in. They need to know what to eat and what not to eat, how to wash their hands, how to pet a dog, and thousands of other rules they will use as they grow older. Newborns start this process in the first moments of life by focusing their attention on the faces and voices around them. Very young babies will try to copy their parents' expressions. As they get older, babies are able to observe, copy, and understand more of what is going on around them. Babies are driven to learn. They instinctively study your words, your actions, and how you treat others. You’ll want to keep that in mind as you go through your busy day. When you go to the grocery store and name the fruits you put into your cart, say please and thank you, or hold someone’s place in line while they run and get an onion, you are teaching your baby about food, being polite, and kindness. Unfortunately, babies don’t watch us only when we are on our best behavior. Babies watch everything we do, even when we yell at cars that cut us off, lose our tempers, or eat too much. Nearly all parents have noticed that their children develop some of their bad habits and we’ve all heard sweet little voices repeating words that children should never say. Children can learn from our flaws as easily as they learn from our strengths. While no one is perfect, it is important to carefully consider what your baby sees and hears when she is with you. When you make the inevitable mistakes and say or do the wrong thing, you still can help your baby learn by taking a moment to stop, take a deep breath, and show her how to make different, and better, choices. It is best to let the world unfold for your baby, one small step at a time. You don't want to start pushing your newborn to know the alphabet or multiplication tables. The most important lessons your baby needs to learn are all about you and how the two of you will communicate. By sticking with simple loving words and actions, your baby will grow and develop and you'll find parenting to be a lot more fun. Next time, we’ll give you some examples of how to share some simple “lessons” with your baby. The Human Lactation Center has been very busy (and very cold), but we want to take a minute to thank all of our readers for spreading the word about our blog. We have more and more readers every day and that wouldn't be possible without you! If you are new to our blog, we encourage you to look through the topics we've covered so far (on the left side under Labels). If you don't find what you're looking for, send us a comment and we'll add your topic to our list for future posts. Because so many parents travel with their babies during the holidays, we decided to take a slight "detour" from our planned blogs by offering 10 travel tips to lessen your stress while traveling this holiday season. 1. Plan Ahead - Traveling during the holidays can be unpredictable, so it is good to be as prepared as possible. If you are driving, make sure you have good directions and check the driving conditions before you leave. It is a good idea to map out places to stop along the way. If you are flying, remember that airports are busier during the holidays. Plan on arriving at the airport about 2 hours early and try to avoid scheduling layovers that are shorter than 1 hour, just in case there are delays. 2. Comfort is Key - The trip will be much easier if your baby is comfortable, so make sure your baby is dressed appropriately. 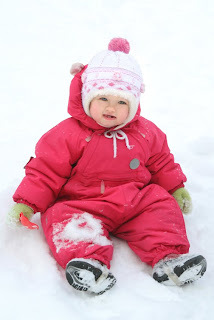 Even when it is cold outside, avoid bulky clothing that may be uncomfortable when your baby is strapped into a carseat. Instead, bring a blanket or layers of clothing that can be used if you believe your baby is cold. 4. Babies Get Bored Too - Riding in the car can be boring, especially for toddlers who have a lot of energy. Now that my daughter is older, we make sure that we have lots of stuff for her to do in the car. We bring music, books, and crayons to keep her entertained (magnetic drawing boards are fun and not messy). When she was younger, we would put colorful toys down by her feet for her to look at. My husband and I also take turns sitting in the back with her so that she doesn't get lonely. 5. More is better - When packing for a trip, it is better to have a few extra outfits and diapers than to be stuck in a car or airplane with a stinky baby. Remember to pack clothes for different kinds of weather. Even if you are traveling to somewhere warm, you don't want to risk an unexpected weather change making your baby uncomfortable. 6. Sailing through Security - With the extra baggage (car seat, stroller, etc) and the extra rules, flying with an infant certainly can be an adventure. For those of you traveling in the US, the Transportation Security Administration (TSA) has a very useful website that provides tips for getting through security with kids efficiently. Be sure to check with your airline or local transportation administration to find out the rules before you go the airport. 7. Fussing while Flying - It is inevitable that your baby will fuss sometime during a flight. Don't let anyone bother or intimidate you if they complain or give you dirty looks. The flight won't last forever and you can only do your best. Have you noticed that babies on planes tend to be most fussy during take-offs and landings? This is because the pressure changes can cause discomfort in babies' ears. The best way to prevent discomfort is to breastfeed the baby during take-off and landing. Besides reducing the pressure, breastfeeding is comforting to the baby. Bottles and pacifiers can help reduce the pressure too, if breastfeeding is not an option. 8. Different Location, Same Routine - Babies do best when they can predict what is going to happen next (See Repetition in a Baby's Daily Life). We know that keeping a routine can be almost impossible when you are traveling, but remember that your baby will be much happier if you can keep things as normal as possible while you're away from home. Try to keep bed time consistent, eat meals around the same time, bring familiar toys, and don't schedue a lot of activities around your baby's normal nap times. 9. One Less Thing to Pack - Most hotels have cribs that can be brought to the room so that you don't have to bring your own. When you make your reservation, ask about reserving a crib. If you aren't able to reserve it at that time, call right before check-in to reserve one. Many hotels will have it ready and waiting for you when you arrive. 10. Pay Close Attention to Cues - Traveling during the holidays usually means visiting a lot of people; some your baby will know well and others she may not. Watch for your baby's cues (especially her "need a break" cues) to keep her from getting too overwhelmed by all the excitement around her. It is also helpful to plan some downtime when you and your baby can relax together. Now we want to hear from you! 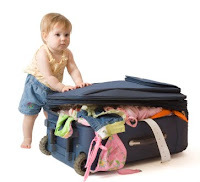 What tips do you have for parents traveling with their infants and toddlers? Note to our readers: My astute daughter reminded me that I need to emphasize that we realize that parents are not the only caregivers of infants. For brevity, we will continue to refer to parents but we’d like to reassure all of our readers that we recognize that there are all kinds of families out there. Last time, we shared ways that parents and other caregivers may make small changes in their activities and routines to help babies with different temperaments adapt to the world around them. Now, as promised, we’ll describe how different family members can build unique relationships with babies. When parents truly believe that newborns only “eat, sleep, and poop,” it is easy to fall into patterns that lead mom to be in charge of one end of the baby (the feedings) and dad in charge of the other (diaper changes). That kind of arrangement can result in both parents becoming a little resentful. Now that you know so much more about your baby, you can see the value of other roles that adults play in babies’ lives. First and foremost, babies learn from adults. Every adult in a baby’s life teaches the baby something about his environment, feelings, thinking, or how to communicate. Anyone who cares for breastfed babies knows that newborns will try to “latch on” to anyone and anything when they are hungry (even Dad) but soon, they learn that mom is the one they want when they are hungry. Babies learn to differentiate one adult from another by their faces, their smells, and the games they play. In turn, each caregiver learns about the baby, from cues, traits, and interactions. Babies’ relationships with moms are different from those with dads, grandparents, and siblings. Just as caregivers rely on numerous friends in their lives, babies thrive when they have many loving relationships. Mom – You aren’t just the “feeder.” Keep in mind that you are also your child’s primary teacher. Typically, you will spend the more time than other adults with your child. As you watch and respect your baby’s cues, provide stimulation, calm words, warmth and touch, you are teaching you baby that you will keep him safe while he learns about life. As important as your relationship is with your baby, it is important to let other family members develop their own roles in baby’s life. Dads and partners – While you have a key role in supporting mom, especially during her recovery from childbirth, you provide important stimulation, variety, security and fun for the baby. Early on, while mom rests, you can play a key role by becoming the “translator” of the baby’s behavior. You can point out baby’s dreaming and cues and help regulate stimulation from visitors and siblings. When baby get’s older, you can help the baby safely explore (dads tend to have more tolerance for exploration) and provide higher level stimulation than mom is likely to provide. Just watch for disengagement cues so baby doesn’t get over stimulated! Siblings – Babies love children and children have boundless energy. This makes for wonderful fun and stimulation for baby. Siblings do need to be taught about cues and the baby’s need for rest. Gentle supervised play can go a long way to help baby take an extra long nap! Grandparents – While the world has changed and n ot all grandparents have extended periods of time to spend with their grandchildren, years of experience with their own children makes many grandparents calmly accepting of their grandchildren’s rhythms and needs. While parents have so many things going on in their lives, grandparents are often able to focus all of their attention on the baby. By bringing new stimulation, toys, faces, and voices to baby, grandparents can provide a lot of fun and learning with every visit. In the last post, we described some of the traits that might be used to describe a baby’s temperament. Early on in babies’ lives, parents begin to notice their babies’ rhythms, reactions, and idiosyncrasies and how these characteristics combine to form their baby’s unique personality. Developing relationships with babies can be confusing. There is no guarantee that our babies will be anything like we are, or our sister’s babies, or even our other children. You might be a highly social person who loves the excitement of travel and new experiences but you find your baby withdraws from relatives and cries or clings when brought into a new environment. Does that mean your traveling days are over and that you need to limit family visits? No! As with all relationships, the bond you have with your baby includes give and take, as well as ongoing compromise and acceptance. The most important thing you can do for your baby (and ultimately for yourself) is to understand your differences and be ready to help your baby fit into the lifestyle that works for you. When you understand and accept your baby’s traits, you can make appropriate modifications to your day-to-day activities that will keep you both happier. You can help a shy baby by taking transitions a little slower, bringing familiar toys along with you when you go to new places, and being ready with calming repetitive words when the inevitable fussing starts. You can ask your relatives to give the baby a little time before they reach to hold him (this can be tough on grandma! ).When you respond to your baby’s temperament with understanding and compassion, he learns that you will help him stay calm. You can try to fight against your baby’s traits but you’ll find it to be a losing battle. Your baby isn’t trying to control you; your baby is just trying to get by with the tools he was born with. If you find your baby is still a mystery to you, read over the descriptions of some of the traits from the last post. Imagine how the world looks from your baby’s perspective. Consider what changes in your activities and routines might make things easier for both of you. Again, you don’t have to transform your life completely, and some adjustments will be needed only until your baby is bit older. Many early baby traits will change, sometimes quite a bit. The little things you do each day to help your baby feel secure and safe will go a long way helping you build a loving bond. Even if your baby’s traits don’t change, the more secure your baby feels when he’s with you, the more readily he will learn to adapt to your world.